At Shippo, we track everything—the number of orders processed on our shipping platform, what service levels and carriers are used, the order value of purchases, what types of e-commerce businesses are growing exponentially, and much more. 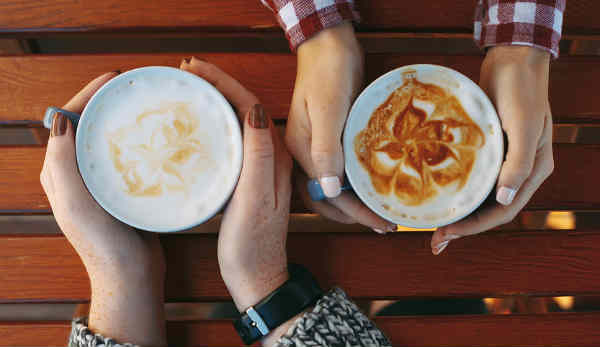 This year, for National Coffee Day we poured over our 2018 data stacks to figure out which cities love sipping coffee the most, based on order information from online coffee retailers that use Shippo. Americans consume 400 million cups of coffee per day making the United States the leading consumer of coffee in the world. Our user data suggests that more coffee roasters are buzzed to be moving online. This year, Los Angeles, San Francisco, and New York lead in placing orders from online coffee retailers. 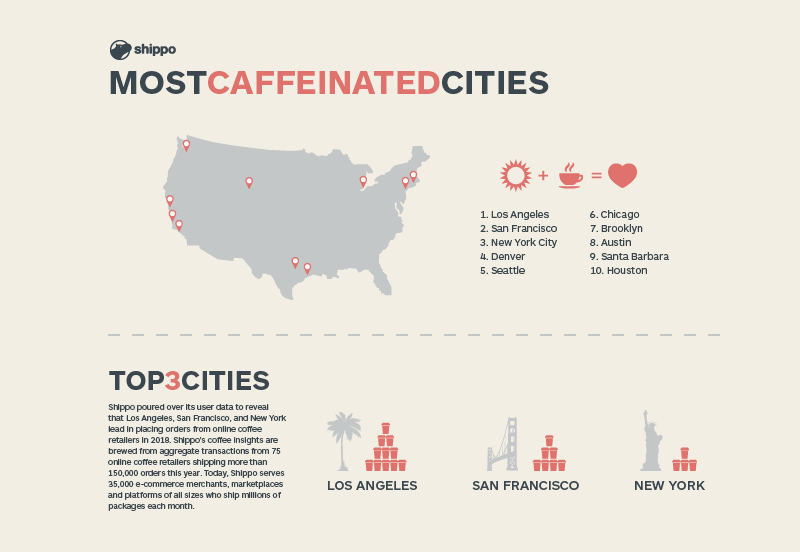 Top 10 Most-caffeinated Cities Across the U.S.
Shippo’s insights are based on aggregated and anonymized data from its platform. Shippo tracks online transactions from more than 35,000 e-commerce merchants, marketplaces, and platforms of all sizes who ship millions of packages each month, which puts the company in the unique position to deliver accurate online sales trends.